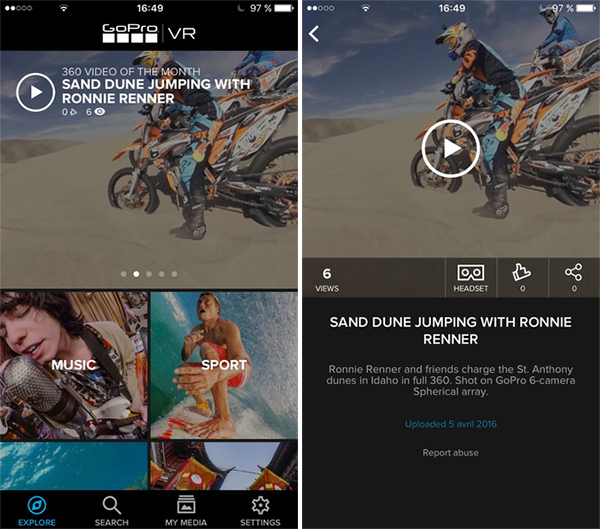 GoPro has stepped up its 360-degree video and VR game by releasing dedicated apps for iOS and Android that lets users watch videos shot by special GoPro hardware directly on an iPhone or Android device. The company is calling the app GoPro VR. This development comes in at a time when GoPro has launched two new camera rigs as well called the GoPro Omni and the GoPro Odyssey. The Omni has been purposed to capture 360-degree video with its 6 camera rig, while the Odyssey is a mammoth 16 camera rig designed to capture videos for VR production. The app henceforth plays a very important role by acting as a portal where people can view and upload all content created by these two new rigs, thus showcasing the setup’s prowess and increasing its popularity amongst viewers. 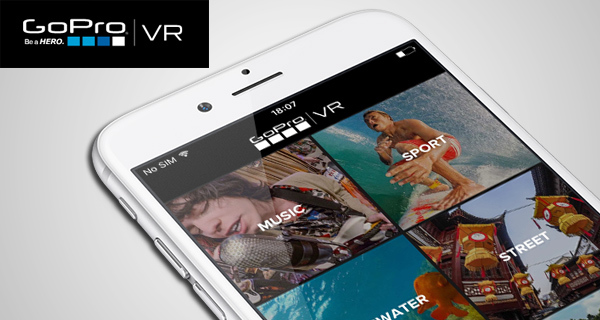 In addition to being the platform where users with the camera rigs mentioned above can upload their content, GoPro VR app for iOS and Android also works in junction with a new version of HEROCast – LiveVR – to stream VR content live where everyone can tune in. For navigating 360-degree videos, the app allow users to either pan their mobile device in the desired direction or simply swipe around using their finger. For VR experience, a VR headset will be required (just about any would do), and the experience can be enabled by simply tapping the Headset button in the app to begin watching the video in virtual reality. The app also offers playback at 60fps on modern devices. While the app and content in it is available for free to download and consume, creating these videos obviously cost a lot as they require the above mentioned special GoPro camera rigs. You are looking at a whopping $5,000 for the GoPro Omni, and $15,000 for the GoPro Odyssey which is currently only available via a Limited Access Program. My best friend have Gopro 4 and I have it too. Its awesome. Samsung is providing vr free with s7. That’s the way Samsung rules. then why u r here !! Sachin, please stop it. You are very immature. ENOUGH IS ENOUGH. Free doesn’t always make things good. You just prove how stupid you are by saying like that. Why let him be ? He is annoying as ever. Many people disliked his way. Then why APPLE is buying parts from Samsung?